15 Mar 2018 Washington, D.C. 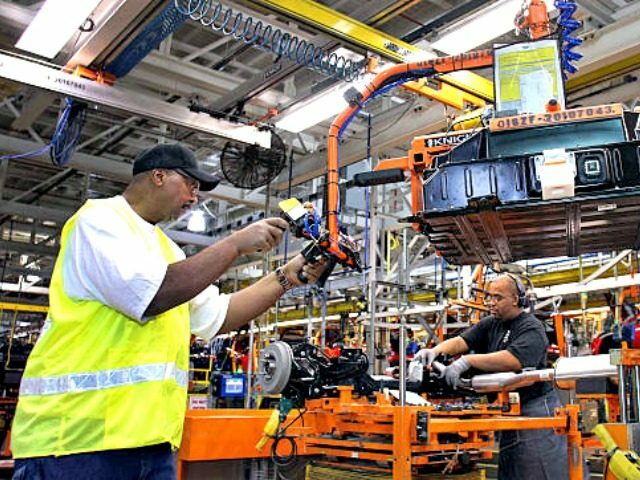 In a new poll by Rasmussen Reports, nearly 70 percent of likely voters said it is more important to keep manufacturing jobs in the United States than keeping prices on products low for consumers. A minority of only 20 percent of likely voters said it was more important to keep product prices low than to have a booming U.S. manufacturing base. Republican voters were more likely than Democrat voters to support keeping manufacturing jobs in the U.S., as 80 percent of Republicans said it is more important to have a strong U.S. manufacturing base, while 66 percent of Democrats said the same. 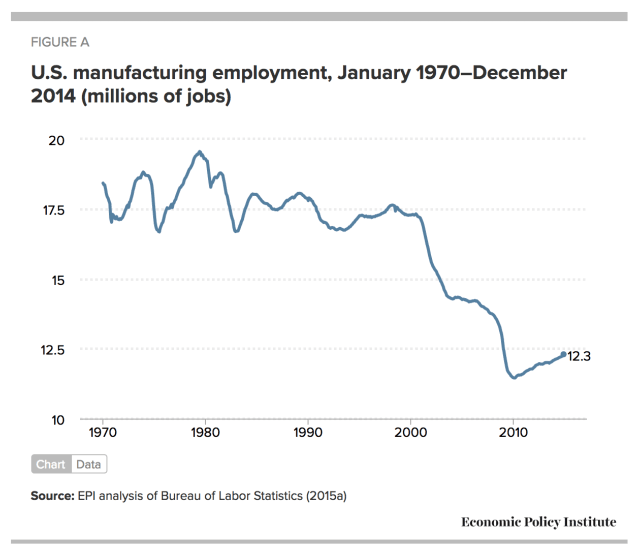 Working and middle-class Americans were the most supportive of any economic group of a strong U.S. manufacturing base, with between 70 to 76 percent supporting keeping manufacturing jobs in the country rather than enjoying cheap products. The least likely to support keeping manufacturing jobs in the U.S. were wealthy Americans with a yearly income of at least $200,000. With the wealthy, only 52 percent said keeping U.S. manufacturing jobs was more important than low product prices, while 30 percent said cheap products were more important. The poll shows widespread support for President Trump’s economic nationalist agenda — specifically among his base of working and middle-class Americans. Most recently, against the wishes of the globalist, free-trade-wing of his White House and the Republican Party, Trump imposed a 25 percent tariff on imported steel and a 10 percent tariff on imported aluminum, both designed to increase manufacturing of steel and aluminum in the U.S.
American workers who suffered from decades of endless multinational free trade agreements thanked Trump in video messages, noting how unfair free trade had “left our factories to rot,” as Breitbart News reported.